Racing have been really impressive against Clermont and Munster. The way they kept the ball alive in the first half against Munster is almost impossible to defend and they're really clinical. They put serious pressure on the Munster lineout although they certainly didn't help themselves with some poor throws and decisions. Play like we did in our knockout games and we should be okay, but they're full of confidence and have the tools to hurt us. Clermont and Munster both gave them a lot of help, hopefully we buck that trend. LeRouxIsPHat wrote: Racing have been really impressive against Clermont and Munster. The way they kept the ball alive in the first half against Munster is almost impossible to defend and they're really clinical. They put serious pressure on the Munster lineout although they certainly didn't help themselves with some poor throws and decisions. Racing were very good alright, but by the same token, Munster were their own worst enemies. Two missed kicks to touch - one from Keatley off a penalty and one from Wooton from his own 22 - along with lineout overthrow on Racing's 22 prevented Munster from relieving the initial onslaught. It was all downhill after 20 minutes as a result. Basic errors like that - particularly in the heat - see Bilbao May 12 - can be fatal. Hopefully we can learn from Munster's fiasco in Bordeaux. Since Leinster don't need to worry too much about the Connacht match and since they will not need to play a Pro14 Quarter Final, it means that they can prepare exclusively for the Racing match, which is great. Does anybody know what match commitments Racing has over the next few weeks? Any brilliant suggestions on how to prepare for the heat expected in Bilbao? Seems to me, the temperature may well have been partly responsible for Munster's dire performance in Bordeaux. If it was up to me, I'd take the whole squad down to Bilbao the week before to get everyone acclimatised. 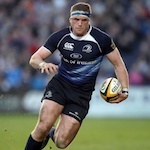 Angelsea Angst wrote: Since Leinster don't need to worry too much about the Connacht match and since they will not need to play a Pro14 Quarter Final, it means that they can prepare exclusively for the Racing match, which is great. Does anybody know what match commitments Racing has over the next few weeks? racing are away to Bordeaux next Sunday and at home to Agen the following Saturday night. It's going to be some contest at ruck time. The Racing back row were impressive today. A lot of posters on here blowing hard earned reputations with their JC v RB posts. I know who I'd want and I couldn't give two fiddlers what Jucifor want but their agenda isn't necessarily the same agenda being put forward here which is just short of it's own Joey out thread. It is all about the highest ceiling and J10 is coming up on his 33rd birthday so getting rid of JC is shortsighted in the extreme and you guys know it. Particularly given that RB will never be as good and doesn't have the potential to either. Oldschool wrote: A lot of posters on here blowing hard earned reputations with their JC v RB posts. Given that our game wasn't too taxing yesterday (can't believe I typed that but there you go) and we don't have a game for the first weekend in May, I'd want to keep a lot of guys sharp. I'd only wrap Isa, Johnny and Leavy in cotton wool and ship them off to Bilbao asap. The rest should see some game time if they're ok after Sat. Agree that some form of warm weather camp may not be a bad idea though Bilbao doesn't tend to get as hot as the rest of Spain does. Just had a look at the weather expected in Bilbao over the next week and it doesn’t look like we’ll need any warm weather exposure to prepare for this match. A high of 23 and a low of 8, with the average temperature looking like it’s about 16. Of course a massive heat wave could arrive at the time of the match but if all stays the same we should be good to go. A16 wrote: Just had a look at the weather expected in Bilbao over the next week and it doesn’t look like we’ll need any warm weather exposure to prepare for this match. A high of 23 and a low of 8, with the average temperature looking like it’s about 16. Of course a massive heat wave could arrive at the time of the match but if all stays the same we should be good to go. I've spent a lot of time in that region. You're right: the Basque Country has it's own micro-climate. A nice day in May would be mid-20s, but it could well be teens. It also rains a lot. Hes one of the best (along with Garces), if not the best. I've no problem with him as the ref. Were Racing that good yesterday or were Munster that bad? I still can't figure it out after a partial re-watch. Certainly shocking defending and atrocious decision-making from Munster. But Racing played a very powerful, yet skilful first 40 minutes. Racing have some defence, although their attack hasn't gone so well in the Top14. I would say they were surprised to get three tries yesterday. Machenaud, Chat, Ben Arou, Nyanga (the whole back row was good), Ryan (and the lineout in general). If you give Teddy Thomas space and the ball, he do damage. As good as Nakatawa can be going forward, I thought he left some big gaps in defence (as a convert to the centre). There is also a lot of space behind their defensive line. They have some bench too. I would argue it is the best squad we have faced yet. If it is Barnes, I hope he doesn't let them away with this French shennanigans of chopping and changing the front row willy-nilly. The entire starting front row came back on after being subbed yesterday. That's great news. He's the best in the world right now IMO. I only saw the game live yesterday, but to me Munster were making errors and suffering in areas of the park that we've been really strong in. There were a couple of defensive lapses for the first 2 tries (both from Murray; pushing across too hard on the first and not drifting enough on the second leaving Wooton with too much to do). But looking at our last 2 games vs Scarlets and Sarries our defensive set-up has been very strong. Our drift and, crucially, our drift cover has been really good. We've consistently numbered well out wide and made good reads across the line. Munsters pack were fairly well beaten up. Our pack has come out on top against everyone they've faced, including a very tough Exeter pack. The only one of our starting pack that isn't a GS winner is someone who has played in a RWC final. We're far stronger there than Munster were yesterday. And potentially only getting stronger in the next few weeks. Our half backs should perform better than Munsters too. Murray started really poorly. He settled down and had a good second half, but the damage was done at that stage. We shouldn't have any such issues with our half backs. And our centres are undoubtedly better in pretty much every facet. Whilst Munster just were not in the game, Racing looked really good, but their game against ASM was just as strong a performance - maybe thats the game we should be judging their danger. So, as we are unlikely to be as poor as munster were yesterday (not being arrogant - munster usually do a job in Euro games just not in that SF), Racing REALLY are a deadly sharp team.